Final expense insurance, also known as "funeral" or "burial" is a life insurance policy designed to pay for the final expenses of the insured person that usually accumulate leading up to and after the insured’s death. There is a cost for burying someone upon their death and according to recent survey of the National Funeral Director’s Association the average cost is around $8,000 including a funeral, burial, casket, headstone, memorial service, flowers and related expenses. Unless you prepay the cost of your funeral or cremation, you will pass along those costs to your surviving loved ones. If you love and care for your family and friends, the last thing you want to do is leave them with the financial burden of paying for your final expenses, especially when they are mourning your loss. That’s where final expense life insurance comes in handy. It helps you prepare for the future by planning for the cost of your final expenses and providing the funds needed so that your family can pay for your funeral and burial with no financial stress to them. 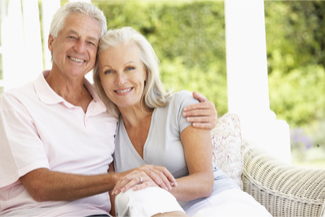 Life insurance to cover your final expenses is easy to get without any hassles. In fact, anyone age 45 to 85 cannot be denied coverage. You can get up to $25,000 of life insurance at an affordable rate. There’s no physical examination required and you won’t have to answer any questions about your health. You cannot be denied coverage due to any pre-existing health problems. Your rate is based on your age, gender and amount of coverage you select. The best time to purchase your final expense policy is while you are young. The rate you are charged for coverage is lower for young people because younger people are expected to live longer and keep paying premiums to the insurance carrier for a longer period of time. Basically, that means once you know you have a need for coverage you should go ahead and purchase a policy so you can lock-in a lower rate. Should I Buy Final Expense Insurance? It depends on your situation. If you have no money saved or you don’t have enough money to cover the total cost of your funeral and burial, and related expenses, you may need final expense coverage.